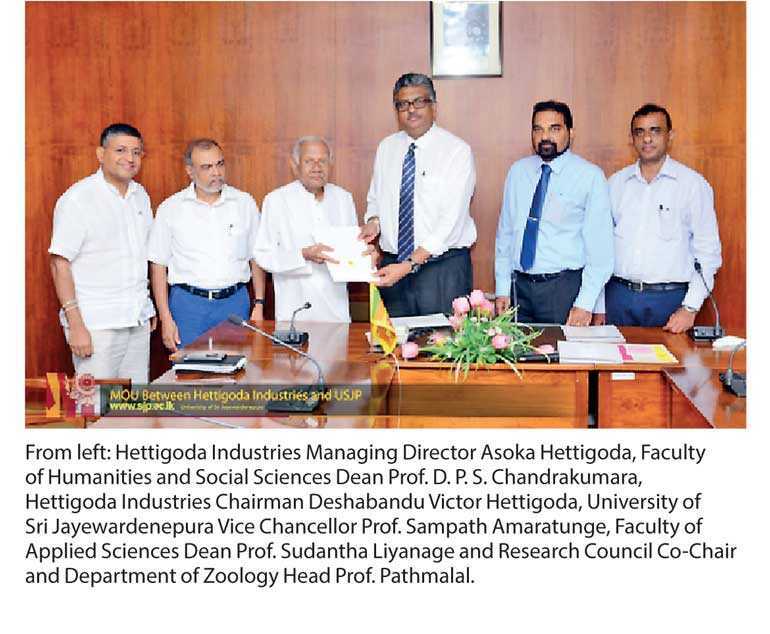 Hettigoda Industries Ltd. signed an MOU with the Plant Materials and Herbal Products Research Center of the University of Sri Jayewardnepura (USJP) recently. The MOU is to facilitate the collaboration on fundamental academic research related to Plant Materials, Ayurvedic and Herbal formula which are within the areas of mutual interest. The collaboration includes developing scientific activities by conducting joint research, creating and cooperating in the facilitations of publication of research. The main purpose of this collaboration is to conduct plant-based research. The university is currently conducting many researches to develop the plant-based medicine industry in Sri Lanka. This collaboration will no doubt aid to develop the plant-based research in the country.